Kids can listen in as Mrs. P (played by Kathy Kinney) reads aloud classic childrens stories. 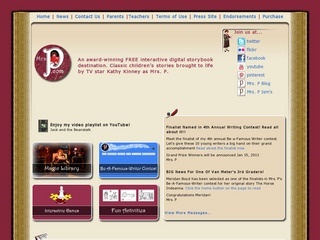 The site also contains interactive games and activities. Requires a high-speed Internet connection.